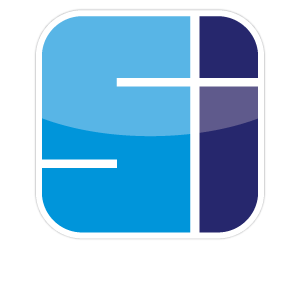 We are expert sign installers that take great pride in the knowledge that they are the last representatives of our company that will visit your job location. They are there to install your signs or graphics properly in a professional, safe, and orderly fashion. At completion they will take great care to double check the installation, clean all signs and graphics, and make sure your job site is clean, safe, and in good order. Our sign installation services include the installation of large scale banners, building wraps, building graphics, large wall graphics, window graphics, floor graphics, pavement sidewalk graphics, car wraps and vehicle graphics, digital signs and display graphics, menu boards and interior signs for restaurants and other dining facilities, construction site signs, and construction barricade signs, building directories and office directory signs, office letters and logos, ADA signs, monument and pole signs, outdoor advertising signs and billboards, highway signs, and high rise signs for office buildings and other large structures that require signs and graphics. Dimensional letters, wall lettering, channel letters, large building letters, metal letters, plastic letters, stainless steel lettering and letters by Gemini lettering company can be installed. Illuminated led channel letters, face lit and reverse lit letter sets are easily installed by our sign installation professionals nationwide, regionally, and local level. We are capable of installing signs and graphics for one location or we can perform multi location sign installation projects. Graphic Installation: Our graphic installers have the experience and knowhow to manage any type of graphic installation, from window graphics, fleet graphics, large format digital graphics, interior and exterior walls, to interior glass frosting. Our work can be seen in office buildings, retail shops, restaurants, construction sites, malls, scaffolding, outdoor venues, etc. Our graphic installers are always on time, polite, clean and courteous. They can think on their feet and get the graphic installation done quickly and on time. Fast turnarounds, no problem, our professionals are here to take your graphic installation from start to finish within your time constraints. No graphic is too large for our graphic installation team.